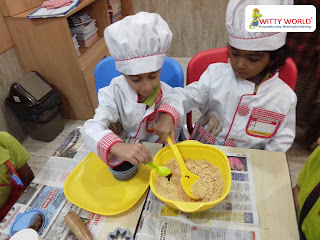 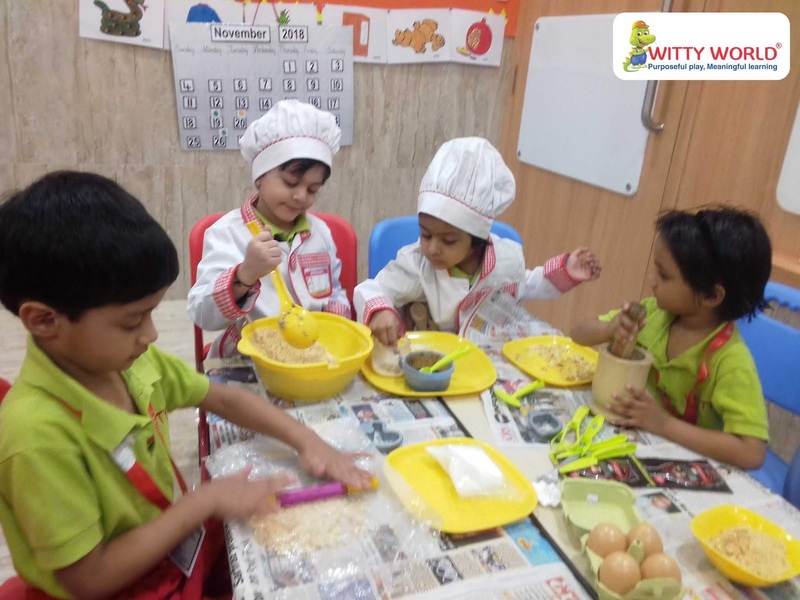 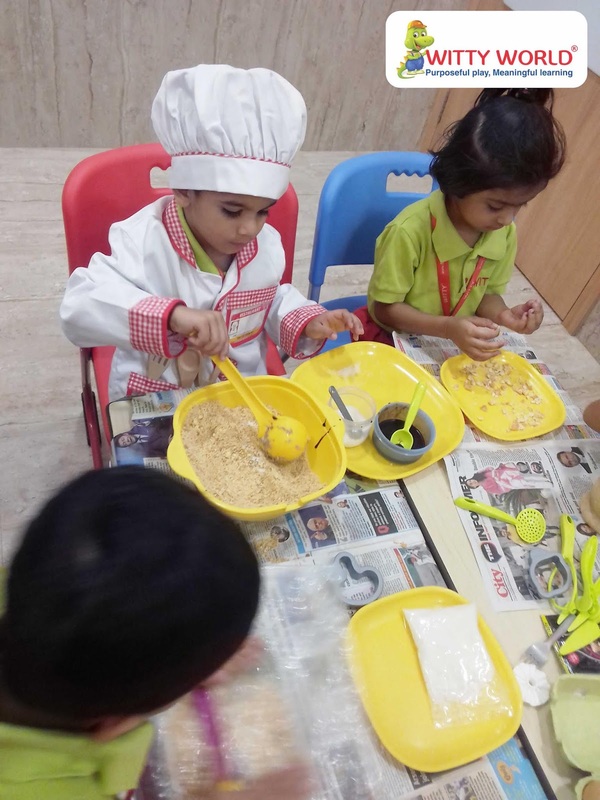 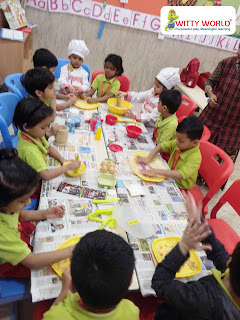 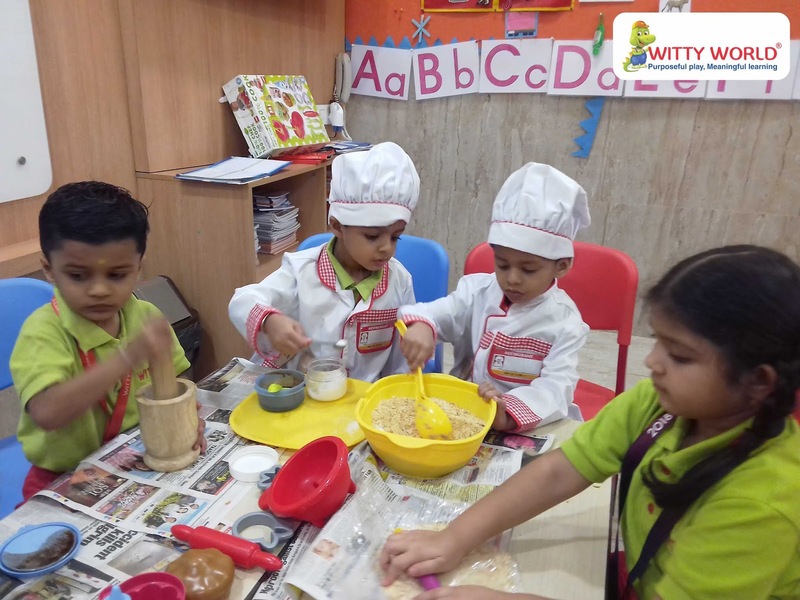 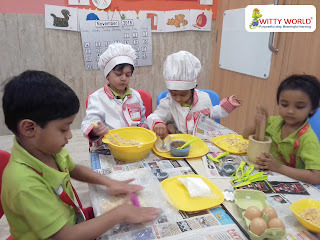 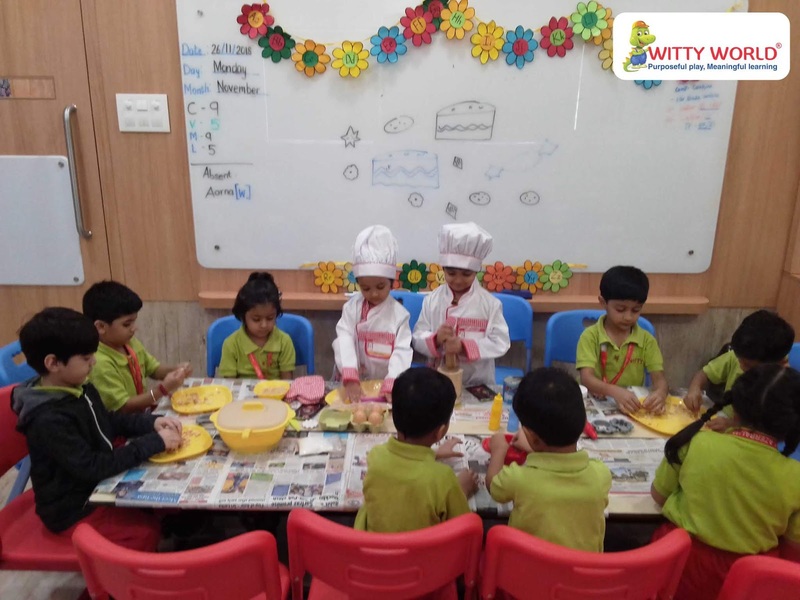 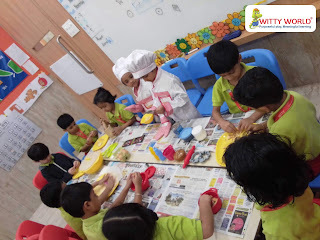 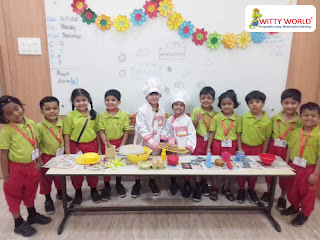 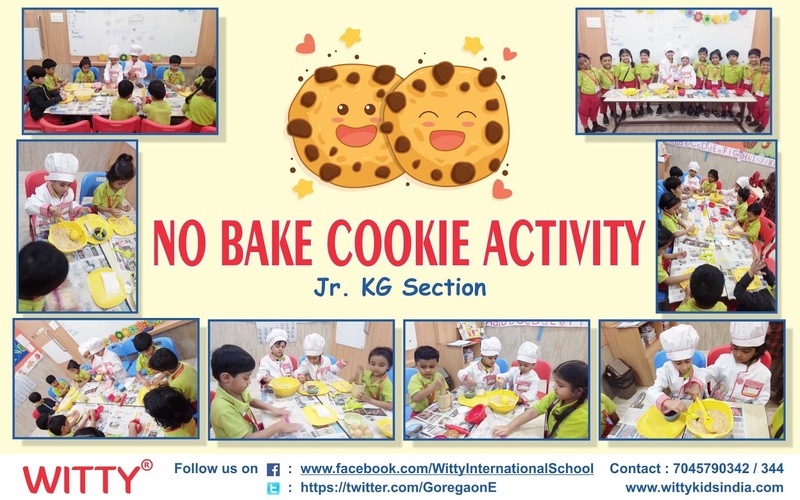 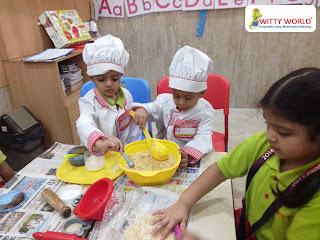 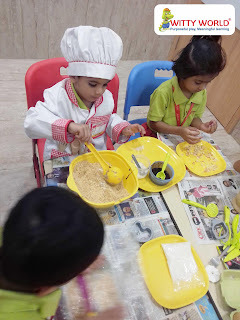 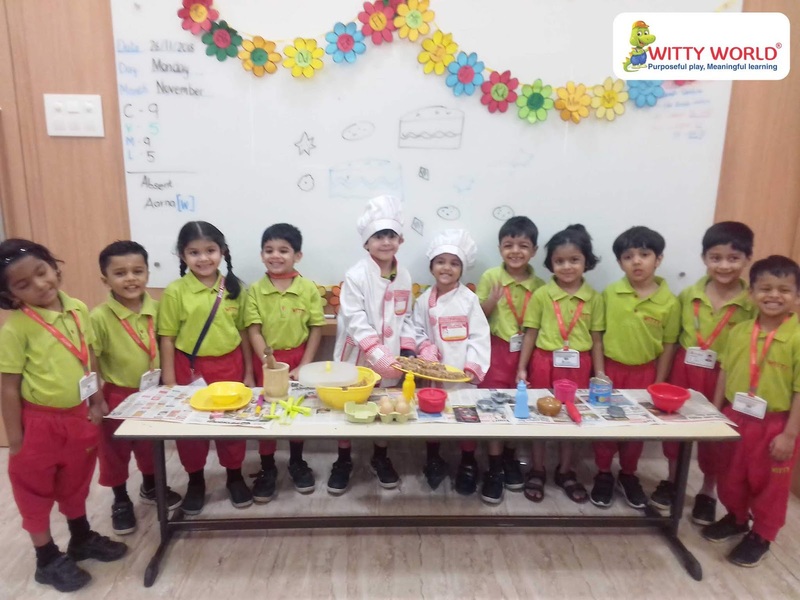 Our little chefs of Jr.KG section of Witty World Goregaon East made yummy no bake cookies on 26th November, 2018 where they enjoyed making cookies by crushing Marie biscuits, desiccated coconut, chocolate syrup, Milkmaid and some nuts. 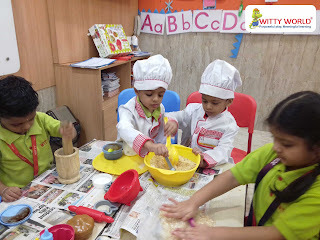 The kids had a good time crushing the biscuits in pounders. They also got a hand on experience of mixing all the ingredients together and making no bake cookies using different moulds. 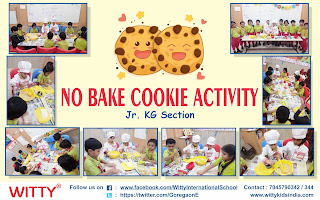 Children relished eating the cookies.